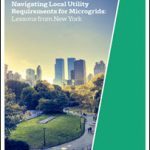 Residential Microgrids for the Masses? Residential microgrids will be attractive to the masses in the form of standardized battery-plus-solar PV systems, says Suleman Khan, co-founder and managing partner of Swell Energy. In the past, homeowners—and those who sell clean energy to them—were going about it all wrong, often installing oversized solar systems without batteries, according to Khan. The oversized solar systems weren’t always cost-effective, and homeowners’ purchase of them meant that the utilities sold less power due to net metering agreements. Swell Energy is betting that solar-plus-battery systems will attract customers by allowing homeowners to go off-grid in an affordable fashion without alienating the local utility — and perhaps even serving it. In some areas where real-time pricing is in place, the product will allow homeowners to store electricity when the price is low and sell to the utility when the price of electricity is high. Swell Energy isn’t the only company betting on residential microgrids. Tesla, for example, offers the solar-plus-storage Powerwall system for homes. iDemand Energy Storage says it has a growing list of clients in the US–valued at $10 million–for its residential energy storage system. iDemand’s system works with windmills and other sources of renewable energy, and allows customers to island from the grid. And CleanSpark, a subsidiary of Stratean, announced this week that it is expanding to offer a vendor neutral solar plus storage product for homes. Aggregators envision groups of such households eventually serving as virtual power plants that serve the grid. Swell Energy’s system focuses on the energy security provided by the battery. The EnergyShield system generally includes an 8- to 10-kWh battery and 2- to 3-kW of solar PV– about eight panels. “With this product, the back-up energy is the true value proposition,” Khan said. In the home microgrid, the amount of solar PV included is about enough to keep the batteries charged, he added. The standardized systems that Swell offers would suit 70 percent to 80 percent of US households because they’re battery-centric, he said. The company says the amount of solar PV provided could suit most roofs, even if homes are located in shady regions. 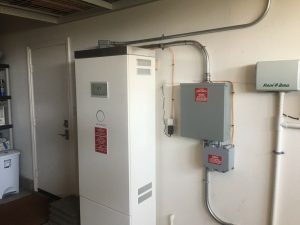 Rather than paying a high price for a customized solar system (as was often the case in the past with other vendors), homeowners choose from three standardized battery-plus-PV packages. “The cost of the systems range from “high single digit thousands” into the $20,000 range, Khan said. Also offered are financing packages that allow customers to pay monthly prices. Even though the amount of solar PV is small in this microgrid package, customers qualify for solar federal tax credits, he said. Even if homeowners finance the microgrid through the monthly payments, they receive the tax credits, according to Khan. The homeowners could use net metering to get credits for the energy they produce, said Khan. However, if net metering “goes away,” as predicted, homeowners could generate, self-consume and sell excess to utilities, he said. Thanks to the batteries, homeowners can sell power when utilities need it, not just when it’s produced, Khan said. Under the EnergyShield program, the homeowners’ critical loads are generally backed up by the system to protect them during outages. However, customers can choose the loads they want to back up, said Khan. Meanwhile, Swell will be installing its product on the rooftops of homes located in Southern California Edison’s (SCE) territory. “SCE commissioned us to install 3,000 systems, 20 MWh. It’s about 2,000 to 3,000 batteries, and we maintain the batteries for 15 years,” said Khan. “It’s been a very different experience talking to utilities about batteries with solar instead of just solar,” he said. Under the agreement with SCE, Swell is installing the residential microgrids in grid-congested areas of California. SCE can call for Swell, which will own the microgrids, to deliver electricity from the systems up to four hours at a time during periods of high demand, most likely between 5 pm and 7 pm, Khan explained. “SCE is treating this like a 20-MWh fleet. They can call us to dispatch it for continuous four-hour periods,” said Khan. Swell Energy will own the batteries and operate them under the demand response program. Under the contract, some batteries may be dispatched for only a few minutes. At most, all the batteries would be dispatched for four hours a day. “For the utility, it’s like having tiny warehouses across town to dispatch energy from where you need it,” said Khan. “Overall, batteries have become affordable, and the notion of a battery centric, universally applicable energy system has become a reality across the country,” said Khan. CleanSpark’s Latest Project: A Hint of the Grid of Microgrids to Come? the United states and You.K. previous this 30 days. instant text messaging conversation (no voice and video nevertheless, these need a connect-in installing).